Why Is My Dog Always Hungry? Worms. That’s usually our response when we try to figure out why our fellow human can just not stop eating. When it comes to dogs, however, we just sort of assume that’s in their nature. It is! But there is a point to where they are eating a little too much in which case there usually something more specific going on. Dogs, like humans, can also get diabetes through type 1, shortage or insulin or type 2, the cells aren’t reacting properly to the insulin, therefore, the body keeps on thinking it’s hungry. If your dog might have diabetes you’ll like also notice a big increase in thirst. If there’s something wrong gastrointestinally, your dog won’t be often be absorbing the nutrients from the food eaten. This can result in weight loss and higher appetite. 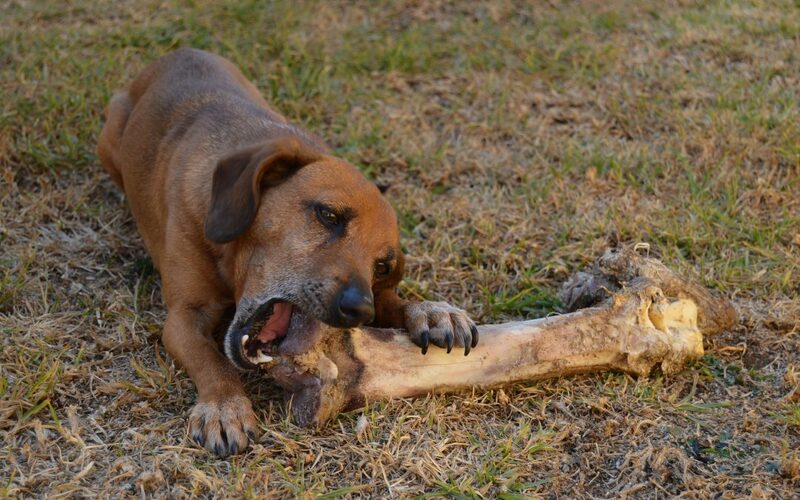 Known as Inflammatory Bowel Disease, this usually affects middle-aged and older dogs. When the thyroid starts playing up, there may be an overproduction of thyroxine, causing the disease known as hyperthyroidism. The overproduction pushes the dog’s body into overdrive and their metabolism increases. Fortunately, this is rare in dogs. Eating is a behavior that should be controlled. If you are feeding your dog every time he puts on the best puppy dog eyes, they quickly know ‘the look’ that will get them more treats. It’s an interesting cycle and before you know it, your dog may be playing you for a fool and a bit of discipline from you by controlling feeding times can be quickly fixed. If your dog has health issues required medication, one of the side effects may be overeating. If you feel like there’s a correlation between medication and the sudden over eating, ring your veterinarian to make sure this is expected. Unfortunately, German Shepherds are most prone to this condition which causes fewer enzymes needed for food to be digested. This means the food isn’t broken down and the nutrients aren’t being absorbed properly. Therefore the need to eat continuously is real. When your dog is feeling stressed, the glucocorticoid is produced. When too much of this is produced (usually from being too stressed) your dog’s appetite will increase. Small intestinal bacterial overgrowth is where the walls of the small intestine are damaged as a result of excess bacteria. This leads to again, you guessed it, a lack of ability to absorb nutrients their appetite increases. As you may have noticed, many of these diseases occur as a result of old age and/or not being able to absorb the nutrients efficiently. While there is no way to self-diagnose many of these issues, you should notice other abnormalities in our dog’s behavior. If you have any issue with your pets overeating, definitely seek an expert opinion as it could be something life threatening.